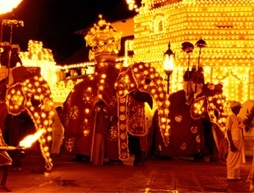 Around 70% to 80% of all tourists who visit the country make a trip to Kandy. According to the growth forecast for tourism, and with the ambitious target of 4.5 million tourists by 2020 set by the government, it is expected that there will be an increasing demand for star-class accommodation units in Kandy. 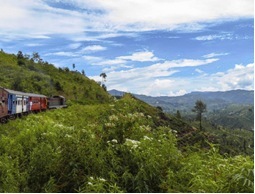 Although most of the developments has targeted Colombo, Kandy is poised to be the next highlighted destination due to the planned developments in infrastructure and transport sectors, and high number of tourist arrivals to Kandy. As a city that has not lost its historical significance, the Kandy City can be seen as a core of cultural identity for Sri Lankans everywhere. 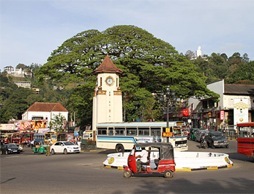 Kandy was the last capital that was under the rule of the Kings and is now the second largest city in Sri Lanka. 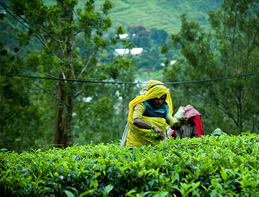 The city lies amidst the hills of the Kandy plateau, which crosses an area of tea and other tropical plantations. Being one of the most scenic cities in Sri Lanka, Kandy is both an administrative and religious city and the capital of the Central Province. 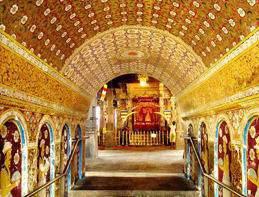 It is the home of the Temple of the Tooth Relic (Sri Dalada Maligawa), one of the most venerable religious venues for the Buddhist community in both Sri Lanka and the world. Colombo Kandy Highway - Access to Kandy from Colombo is expected to be strengthened with the construction of the ‘Colombo Kandy Alternative Highway’, which will drastically reduce traveling time between the two cities to 45 minutes, while also paving the way for high economic activity within the central province. Domestic Air Travel - Arrangements have also been made to develop a domestic airport in Kandy, thereby enhancing domestic air travel which will subsequently improve tourist arrivals. Sri Lankan Airlines recently recommenced its ‘Air Taxi’ operations with the availability of scheduled and charter flights to Kandy. Thus, business and leisure travelers are now able to reach their destinations in less than 85% of the time that is normally taken with the added advantage of enjoying a bird’s eye view of many breathtaking locations in Sri Lanka. Kandy is set for a major facelift under the Presidential initiative ‘Kandurata Udanaya’ which involves a Rs. 116 billion allocation of funds for various development programs undertaken until 2015. 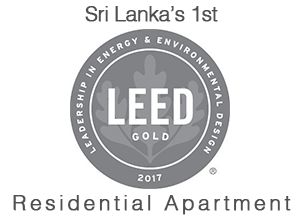 This valuable addition to the city of Kandy also further enhances the potential for ‘conventional’ tourism within the region. Dynasty property is in close proximity to all the international colleges and academic institutions in Kandy. Even the World Bank has extended its keen interest in Kandy’s development drive and during the next 5 years, the Rs. 116 billion allocation will be invested in multiple yet coherent development initiatives. Designing new walkways and recreational canters, upgrading street lighting systems, improving drainage systems, constructing of a new railway and bus stand and also designating a part of the city as a walking city are a few of those initiatives. As a part of the project, the entire Peradeniya town is to be shifted to Iriyagama which is a kilometer further down Colombo road. 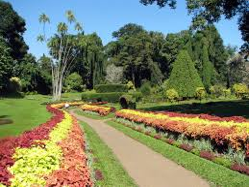 The area is to be developed as the gateway to Kandy – a heritage corridor with many tourist attractions. Kandy is one of the most popular destinations within the country with some 70% or more of all tourists visiting the island making a trip to Kandy (Reference Sri Lanka Tourism Development Authority Departing Guest Survey). Currently there are only about 1,300 hotels rooms in the area of a proper graded category, although there are an equally large number of smaller un-graded establishments catering to the lowerend of the market. 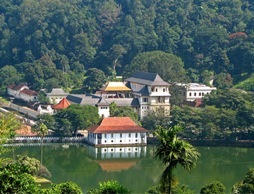 For 2011 the Kandy region returned a year round occupancy of 79%, while the countrywide occupancy was 77%, indicating the popularity of the destination. ( Refer to SLTDA 2011 statistics). 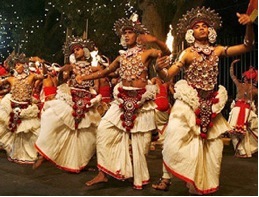 Sri Lanka tourism follows a pattern where the bulk of leisure tourists come for a beach holiday of about 7 days and they undertake a round trip or circuit covering other multiple offerings of the island. There are several such standardized circuit trips offered which encompass nature, culture and adventure themes as desired by the customer. 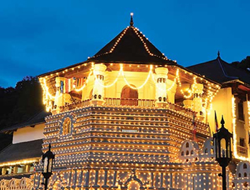 However, every such tour would pass through Kandy, since it is the most popular destination for all tourists visiting the country. There is no doubt that in the medium and long term, hotel accommodation in Kandy will follow the same pattern of tourism growth and demand of the entire country. Given the expected growth patterns forecast for tourism, and with the ambitious target of 2.5 million tourists by 2016 set by the government, there is no doubt that there will be an increasing demand for good star class accommodation units in Kandy. Year-over-year growth continues to be strong with 2012 recording over 1 million arrivals for the first time ever, a record for Sri Lanka, and the demand for these accommodation units continue to grow. This is most probably not due to the lack of interest in developing hotels in the Kandy region, but more due to the fact that there is no buildable land available in the area. 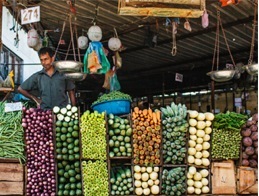 This is the reason for having a large number of unregulated, small, bed and breakfast type developments sprouting around the Kandy area, fuelling growth in the cheaper Small to Medium Enterprises (SME) segment and leaving the larger conventional 3 to 4 star category room stock to remain stagnant in spite of the rising demand.